Beautiful! I love Peace Lilies. The window as a frame really works with the tree branch background too. Is this your home garden? It’s quite beautiful. I’m count myself fortunate that this the view from my workplace window. 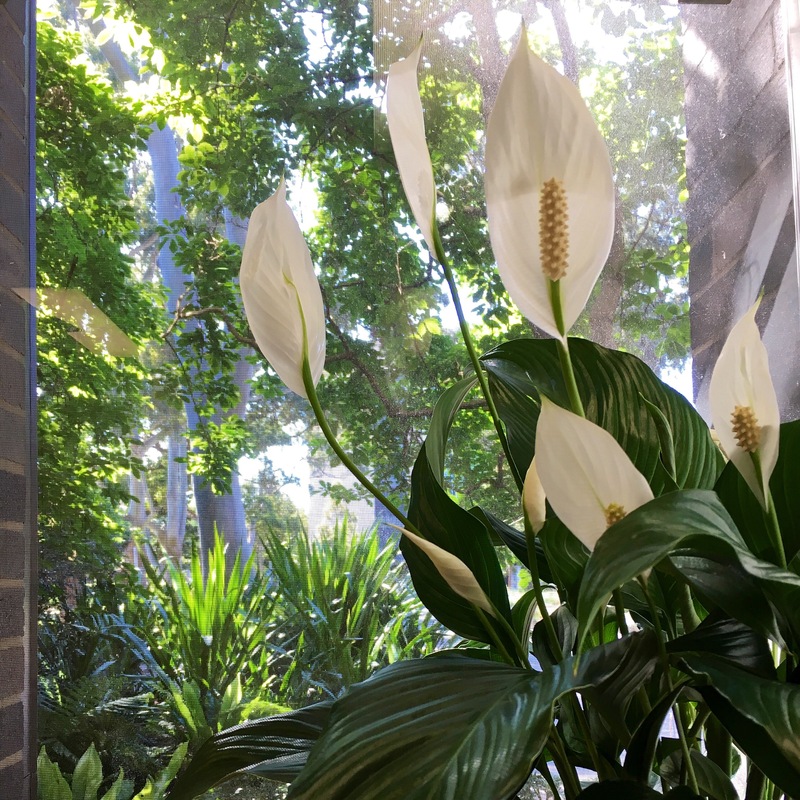 The peace lily is a gift my husband. Beautiful peace lily. Love the view from the window. Thank you, I’m pleased you like it.